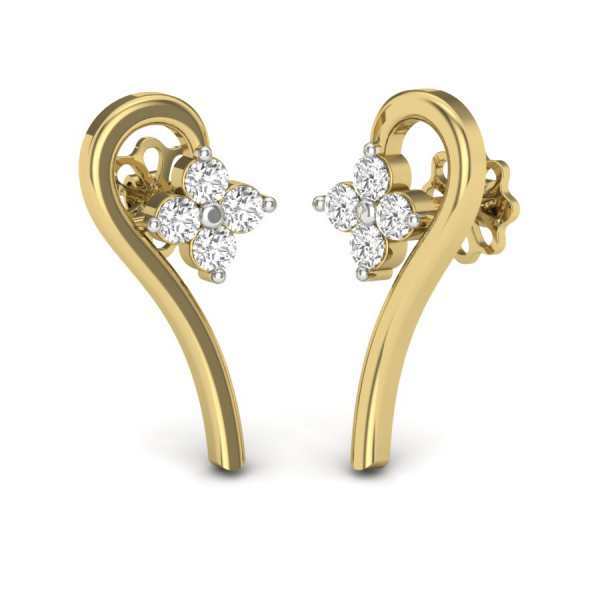 If there’s one thing that apart from the globally coveted diamond engagement ring, holds a dear and special place in a woman’s heart, then it has to be, hands down, a pair of diamond earrings. 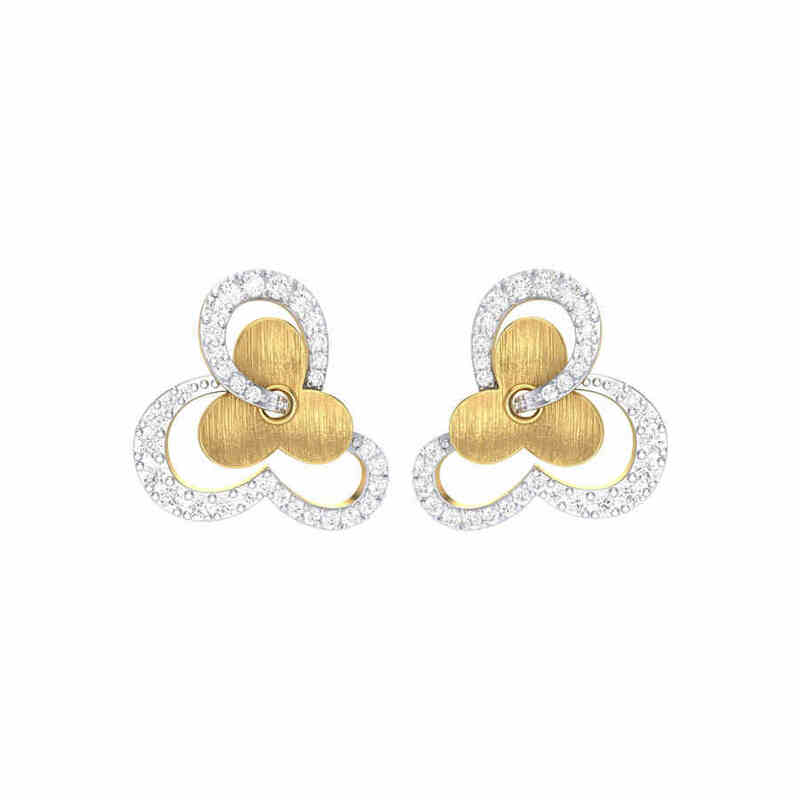 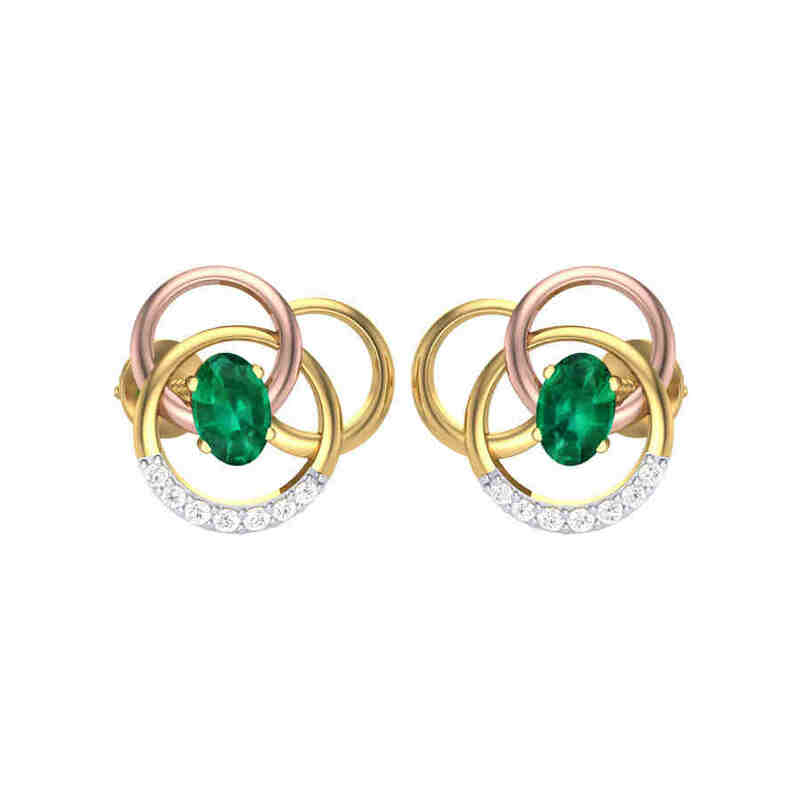 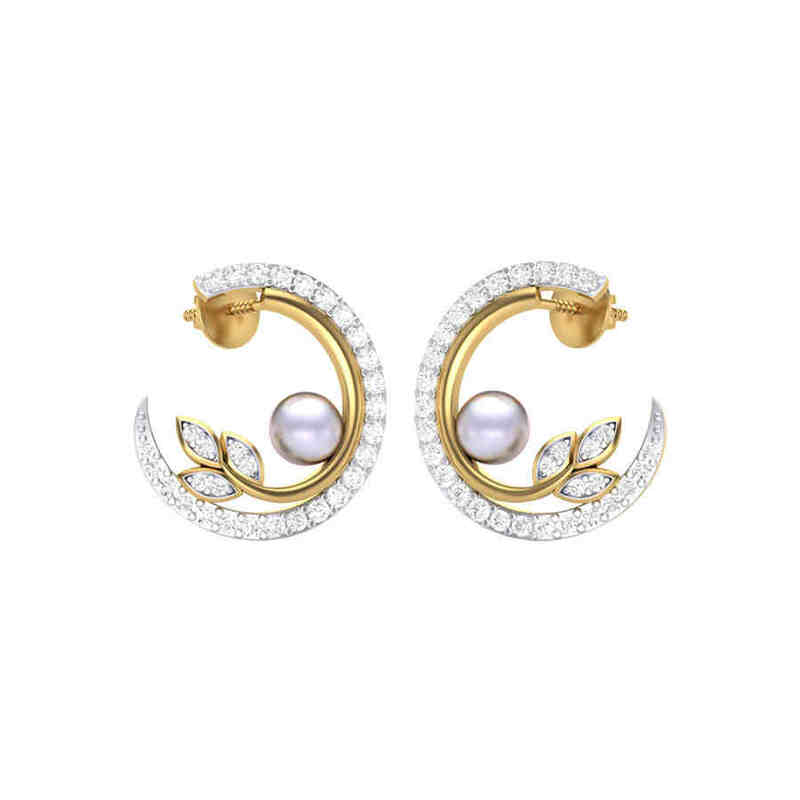 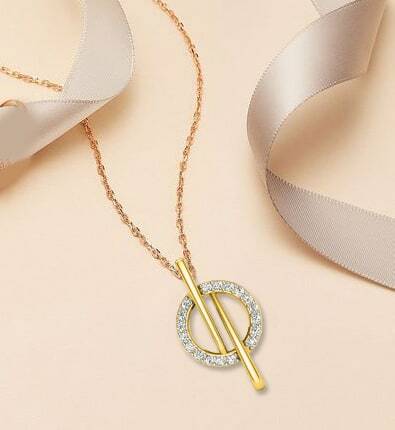 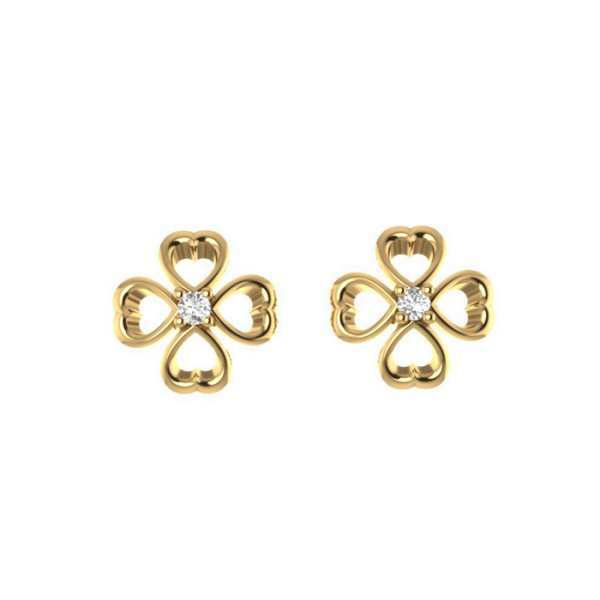 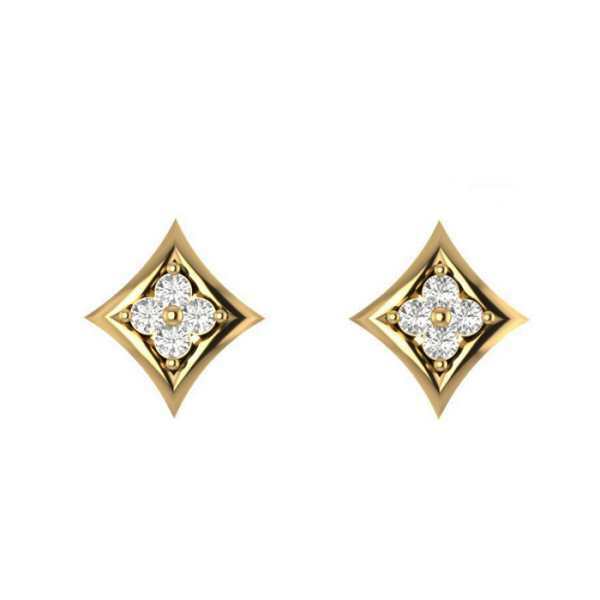 Not only are diamond earrings for women known for conjuring up classical elegance but are also a versatile jewellery piece that can be worn with any outfit under the sun and still manage to look sublime and ethereal. 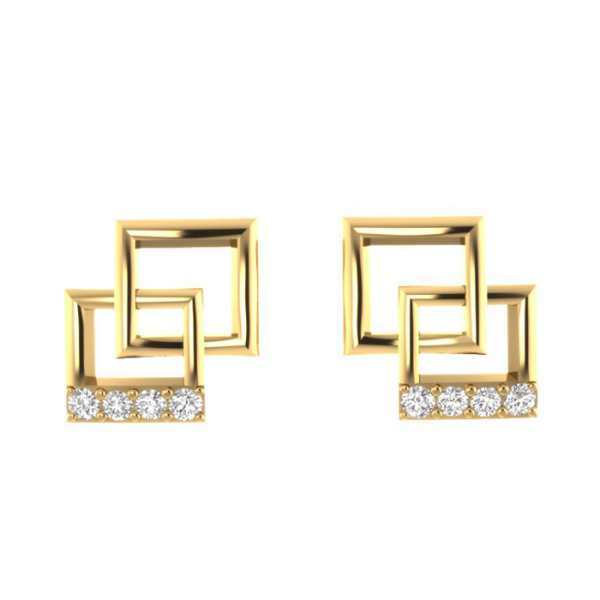 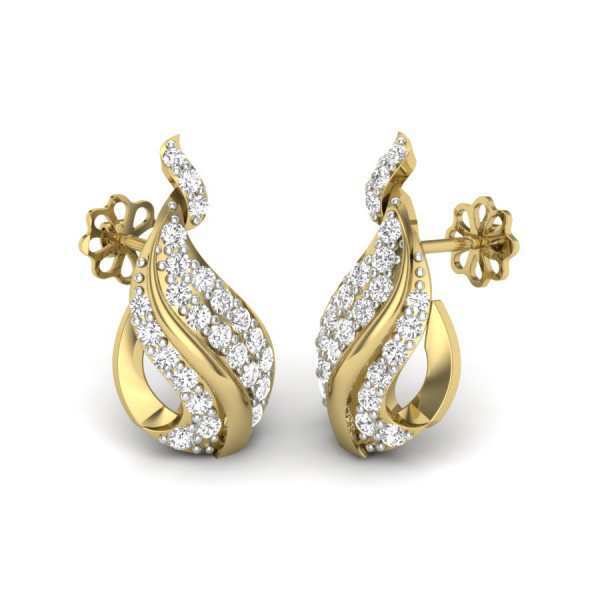 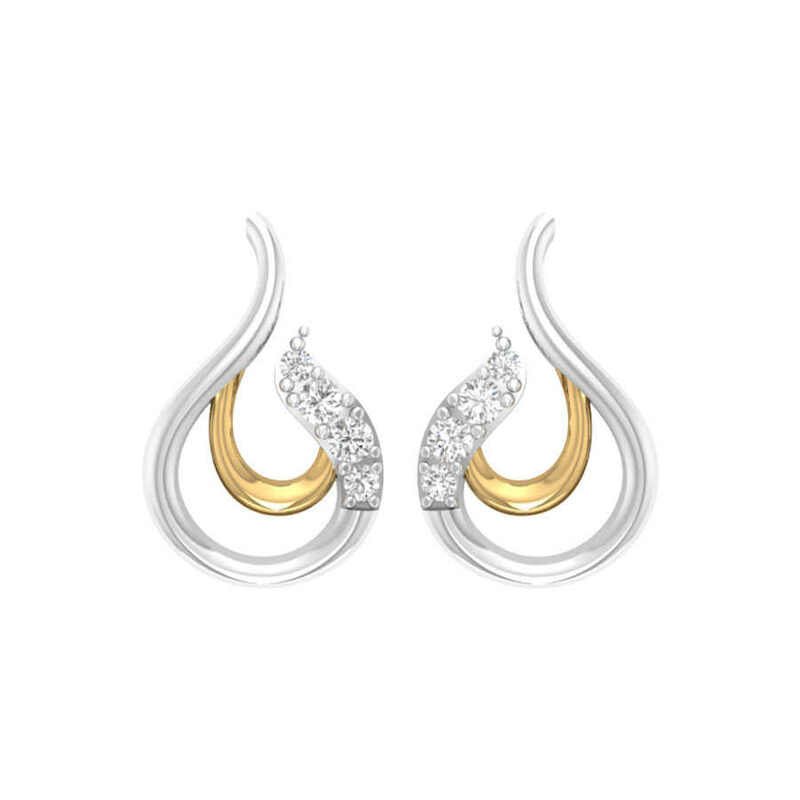 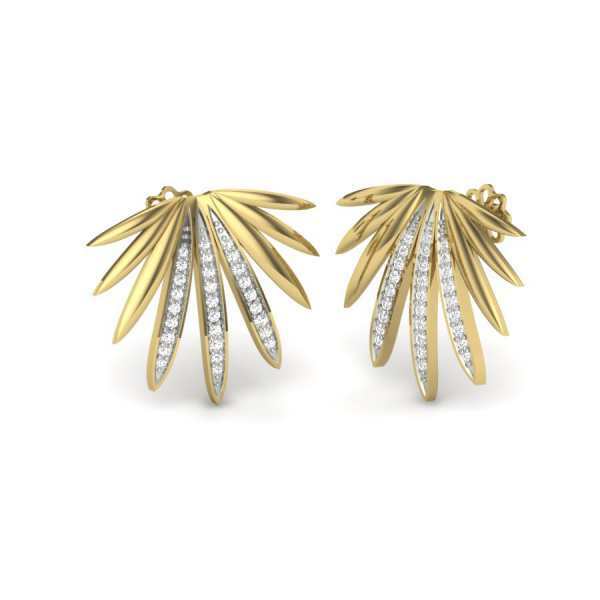 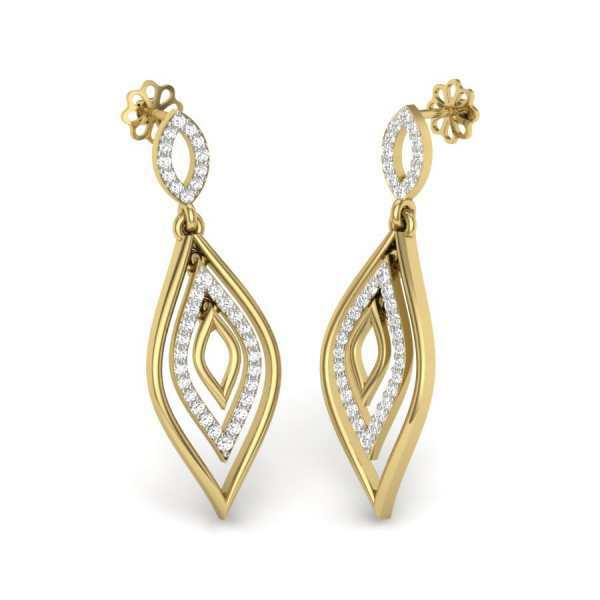 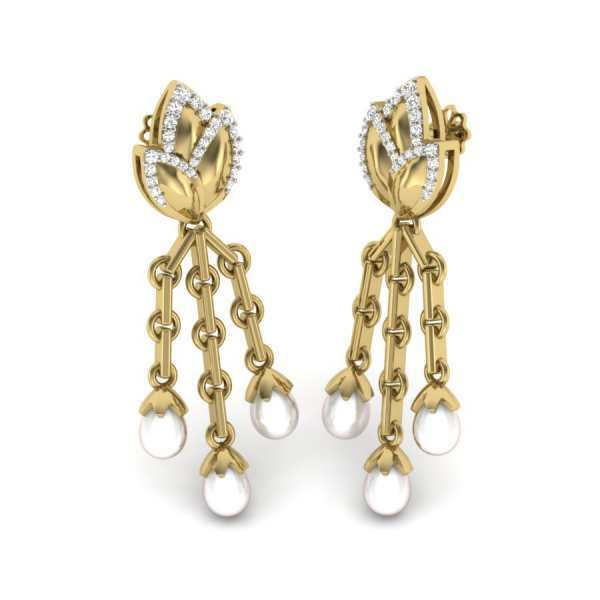 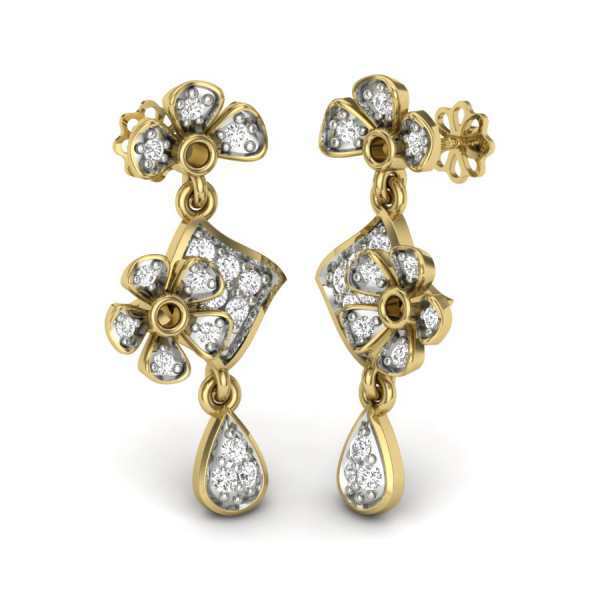 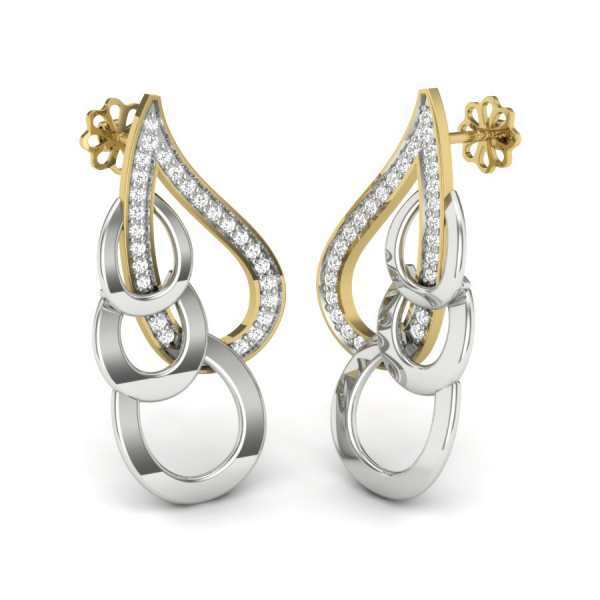 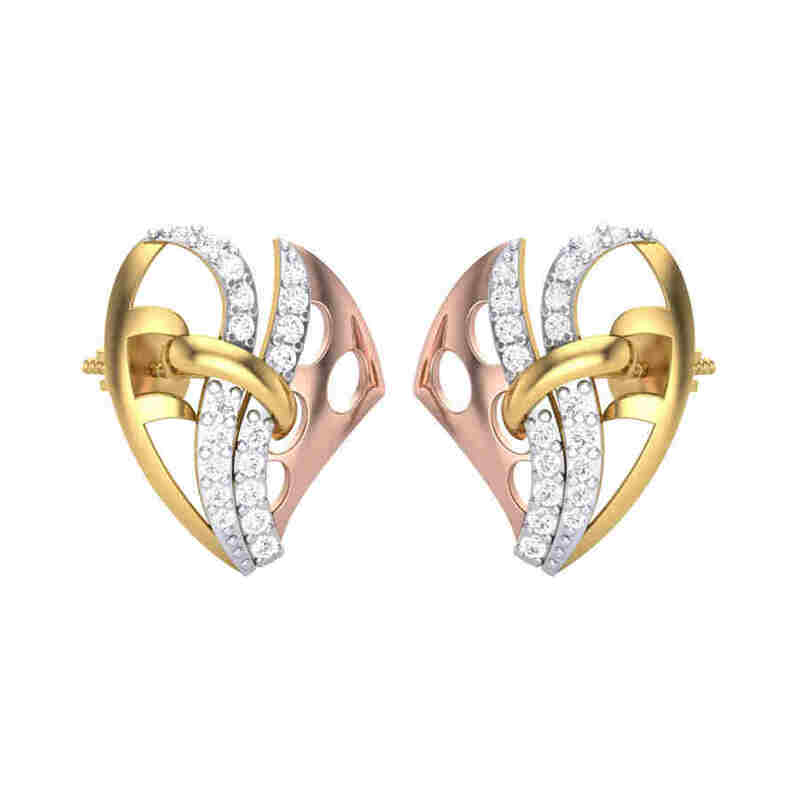 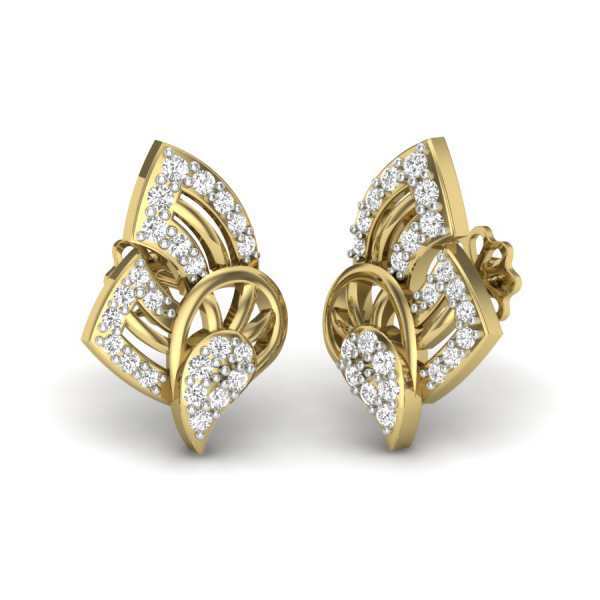 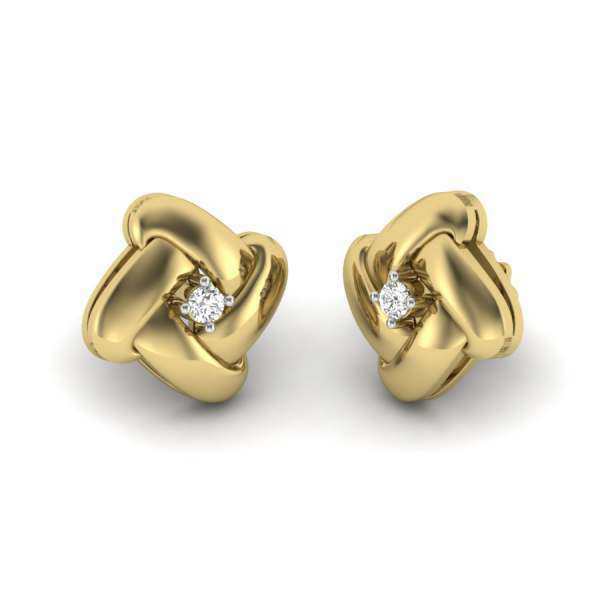 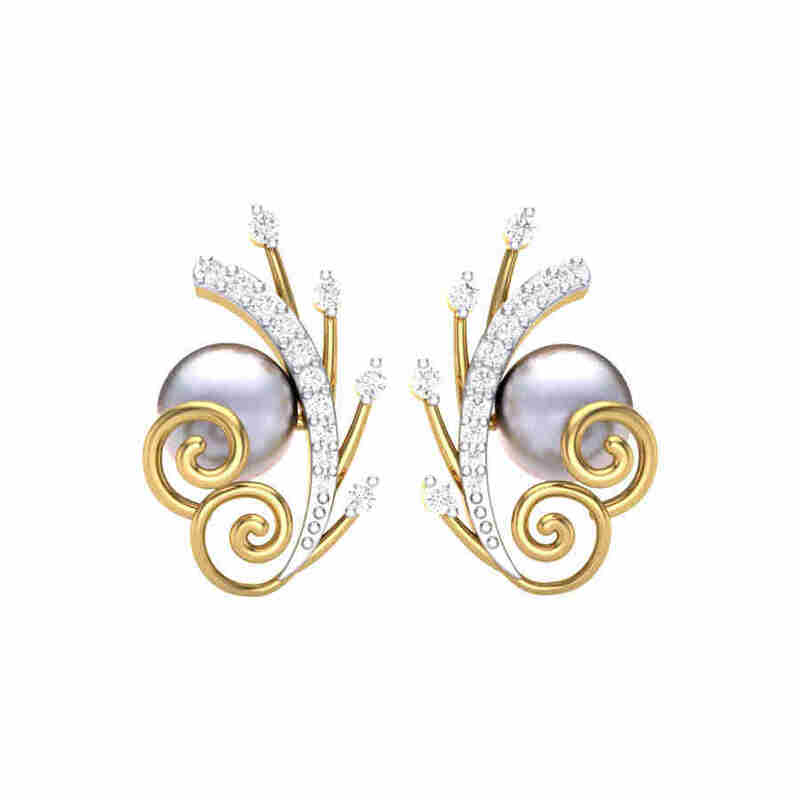 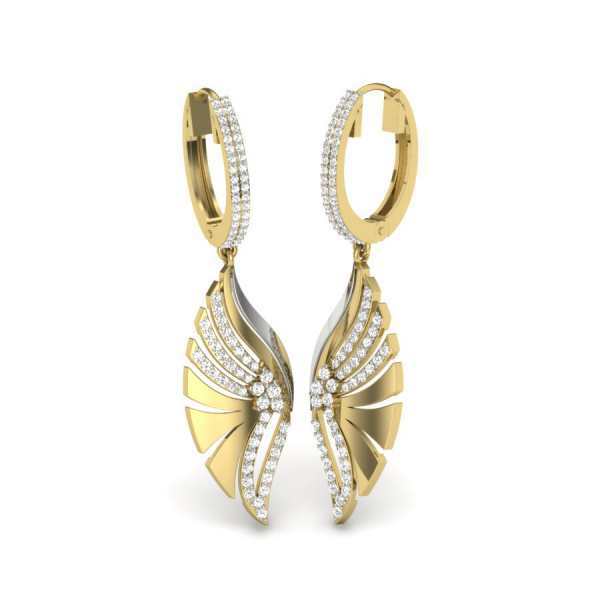 Stunning diamond earrings have been prized for their visual allure which comes from their sparkly brilliance. 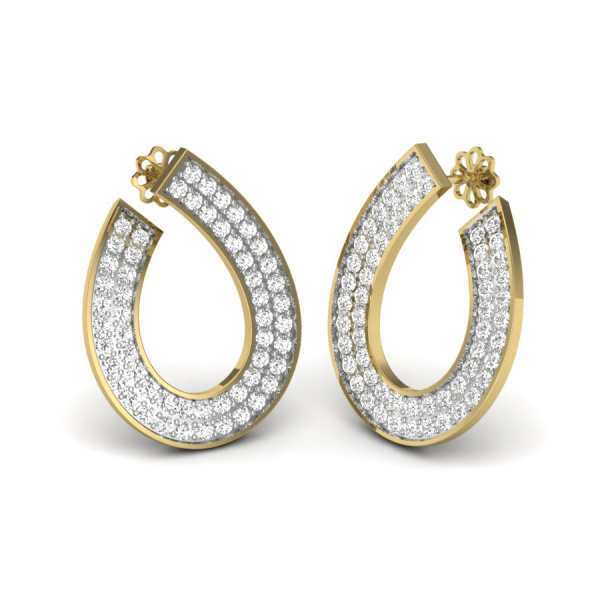 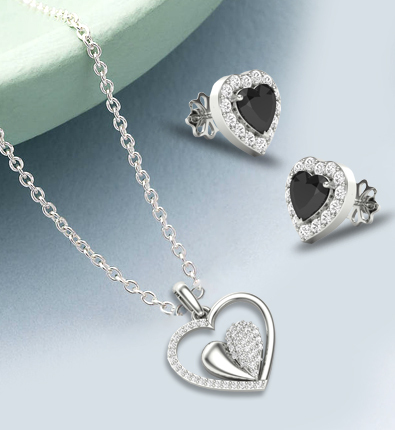 Diamond earrings make for a perfect accessory for weddings. 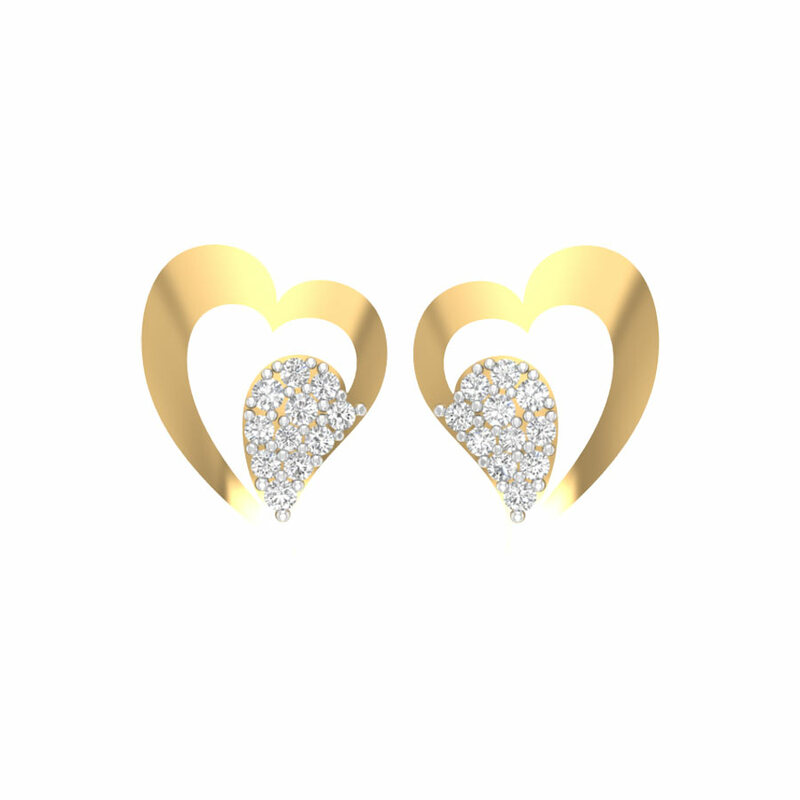 A beautiful and comfortable pair of diamond earrings are a good option for your special day as you will wearing them all day long. 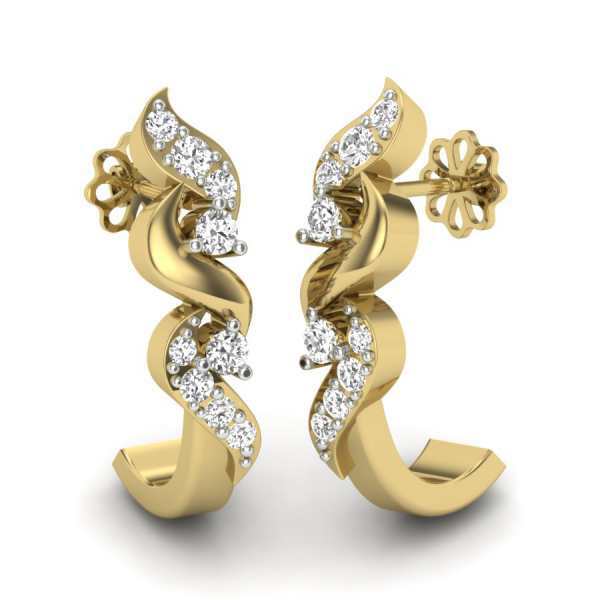 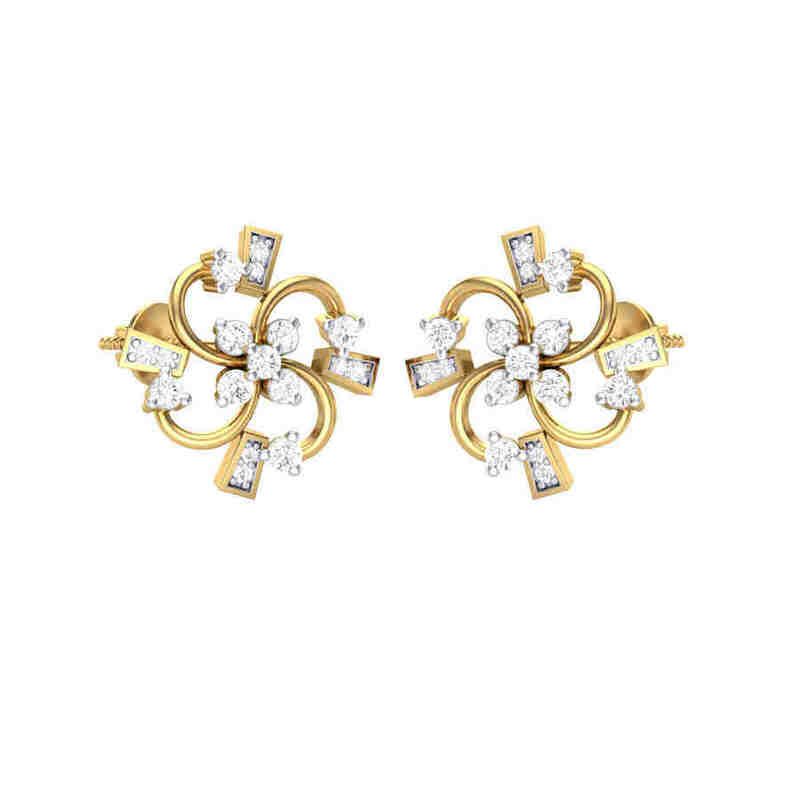 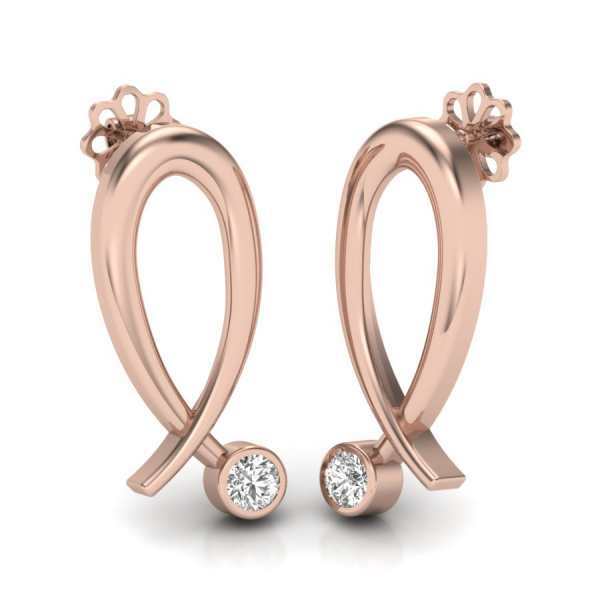 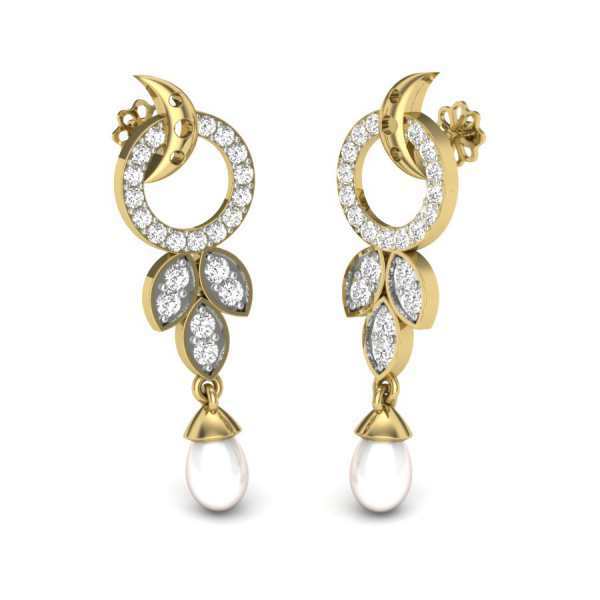 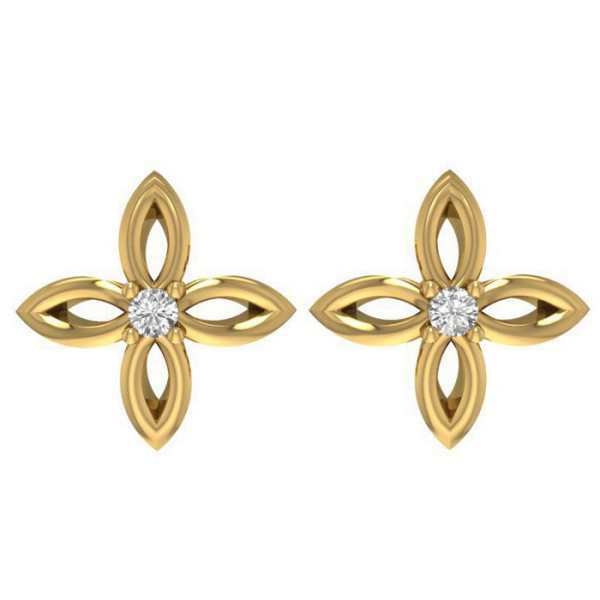 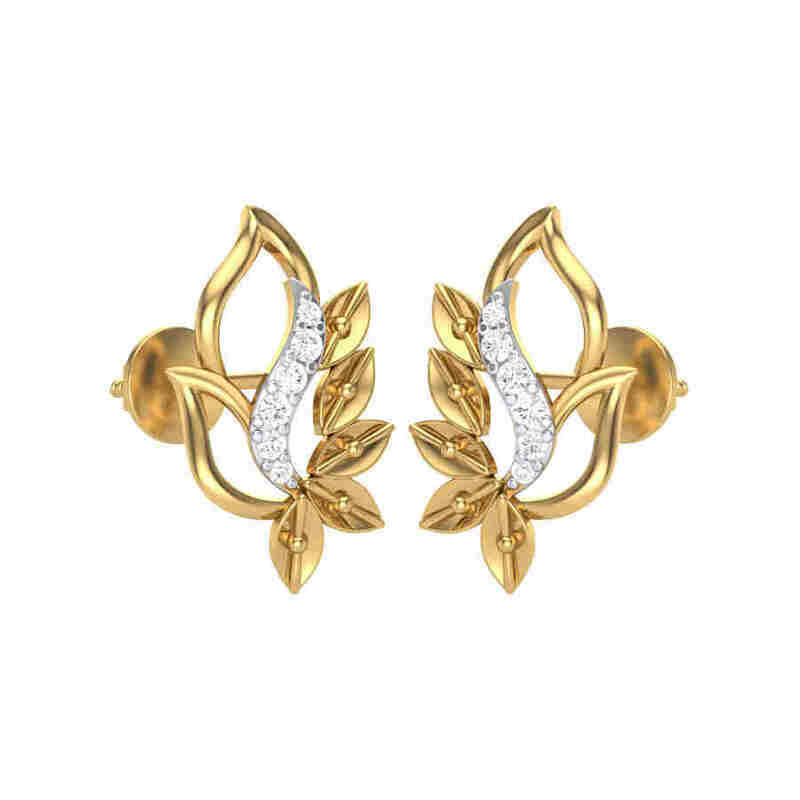 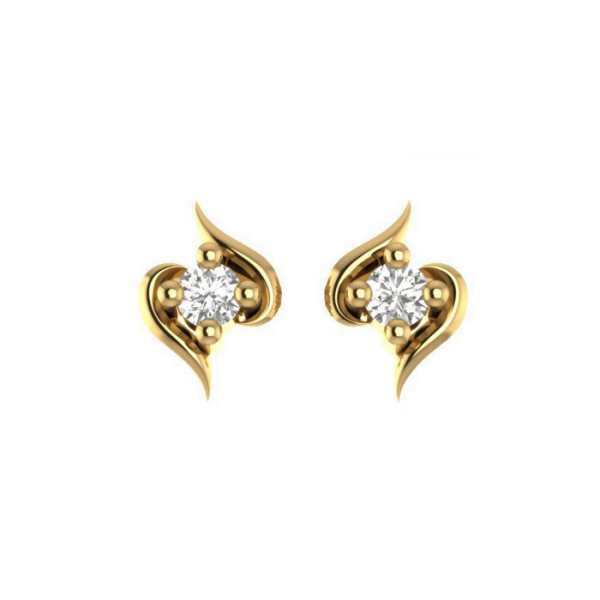 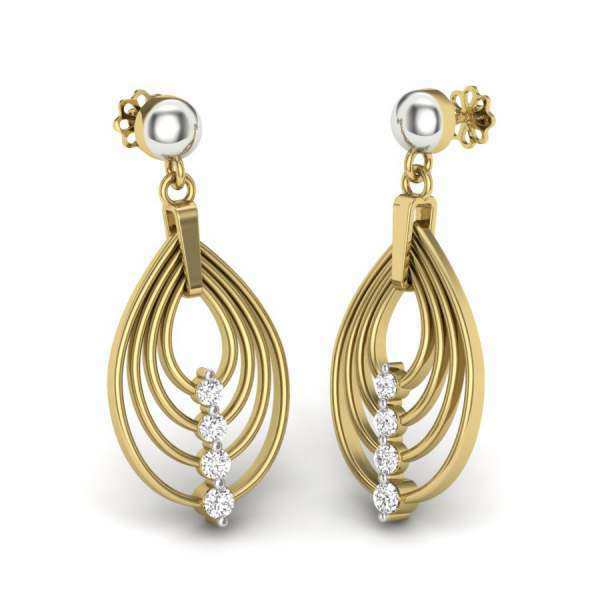 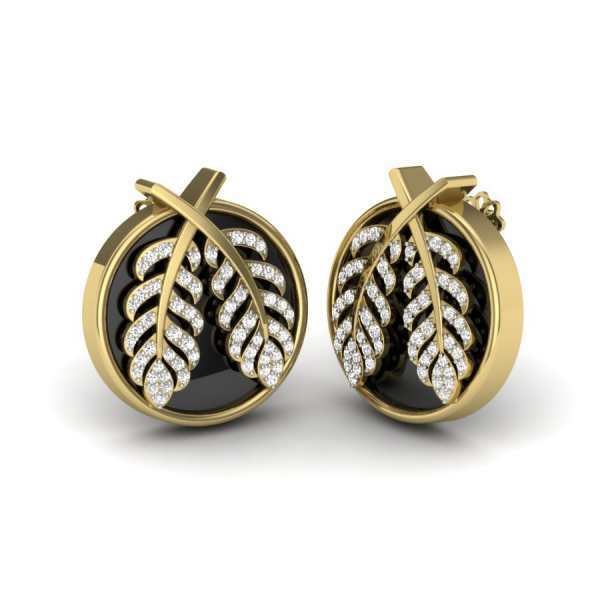 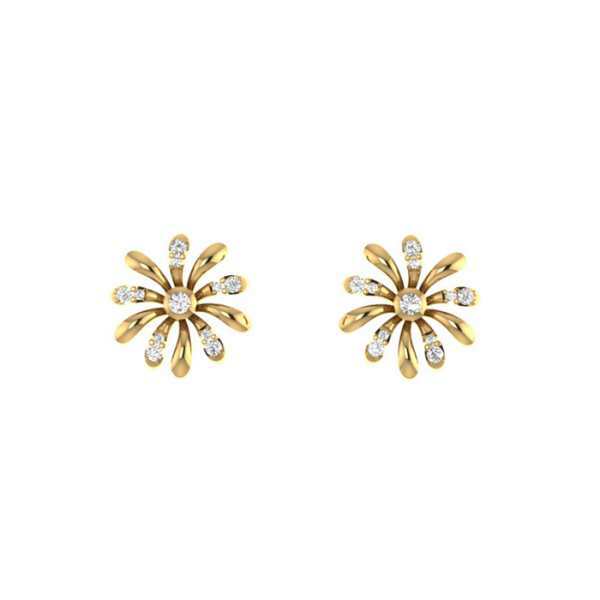 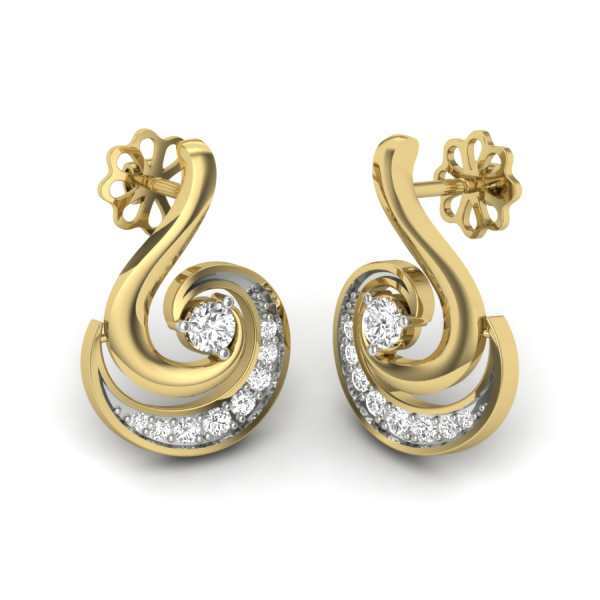 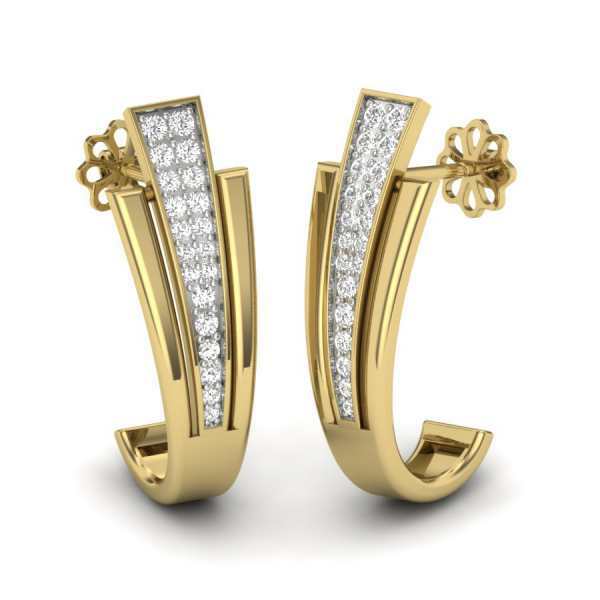 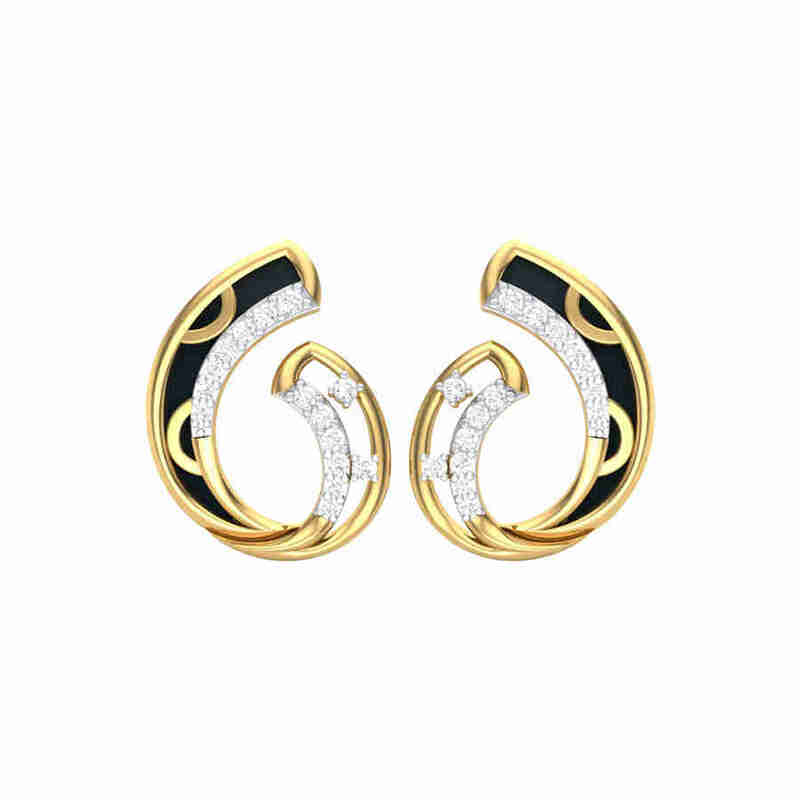 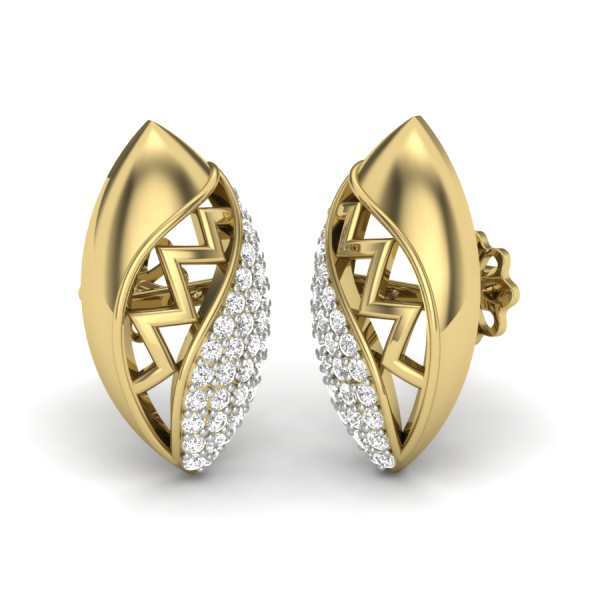 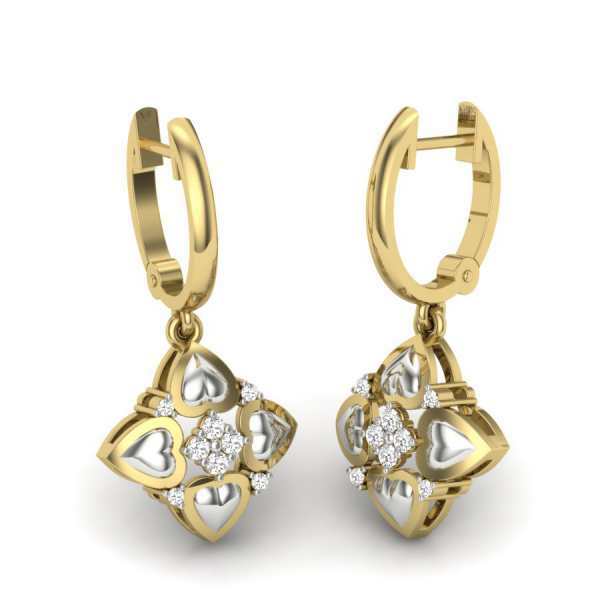 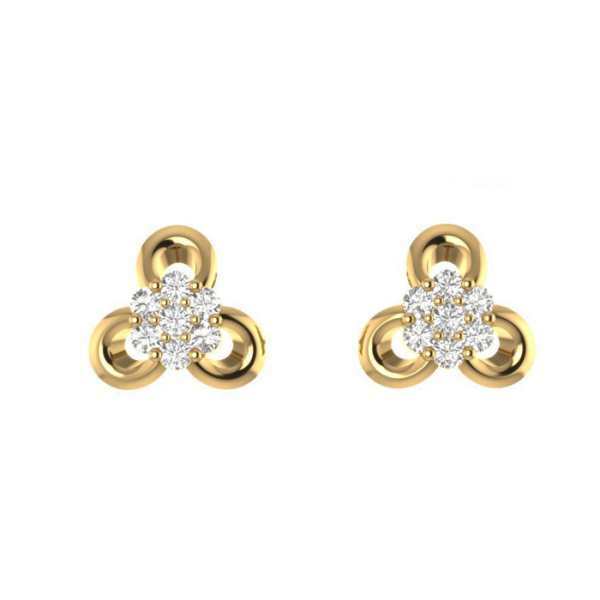 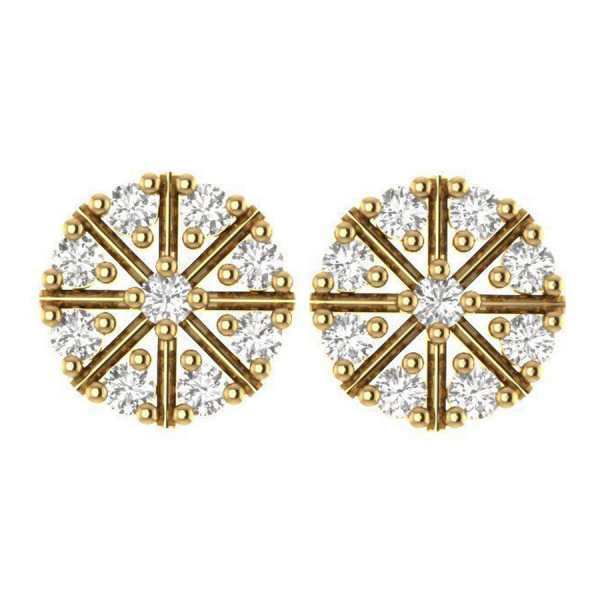 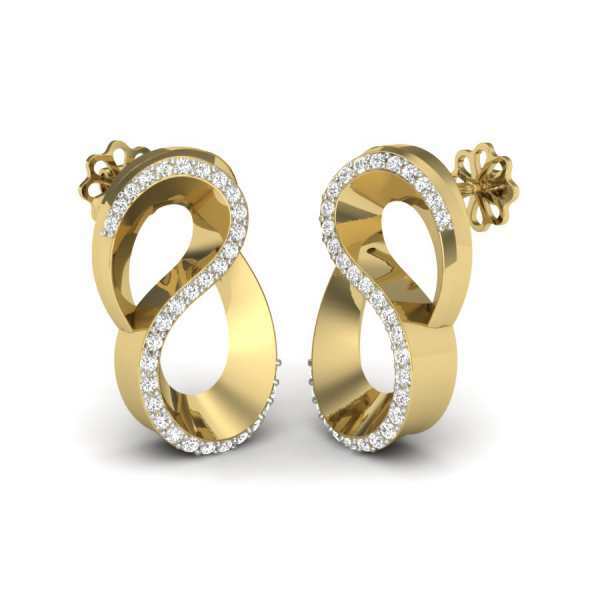 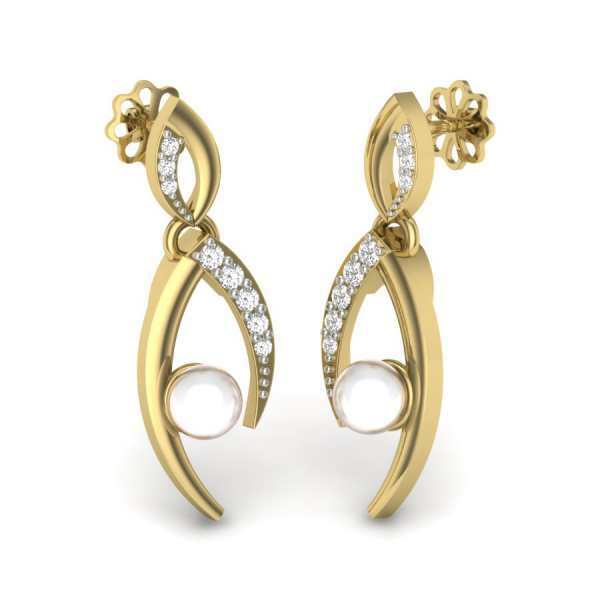 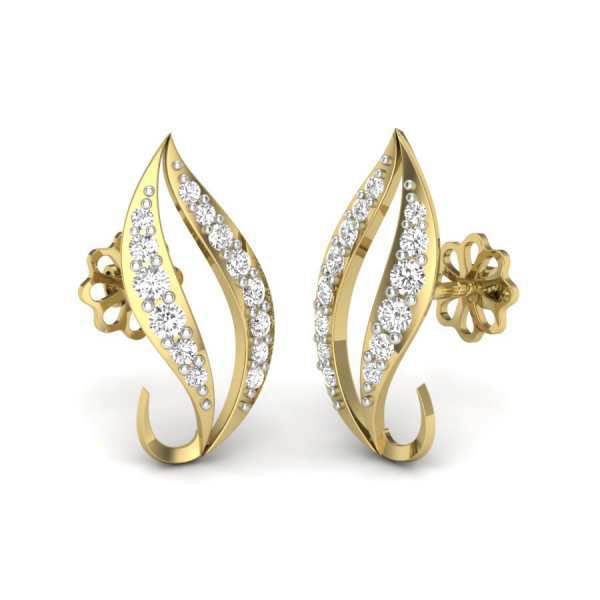 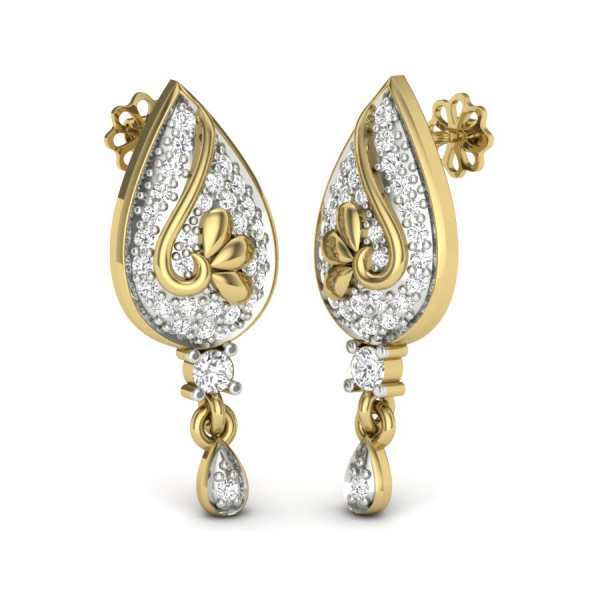 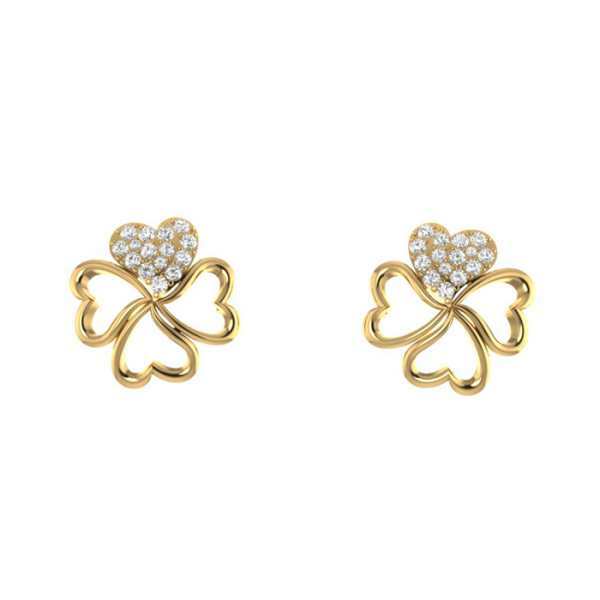 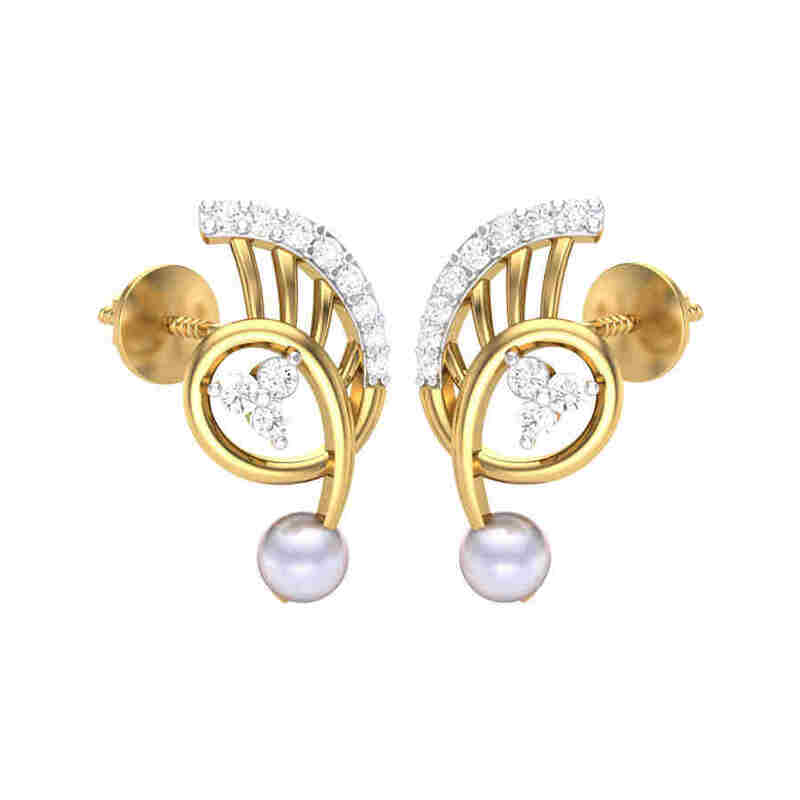 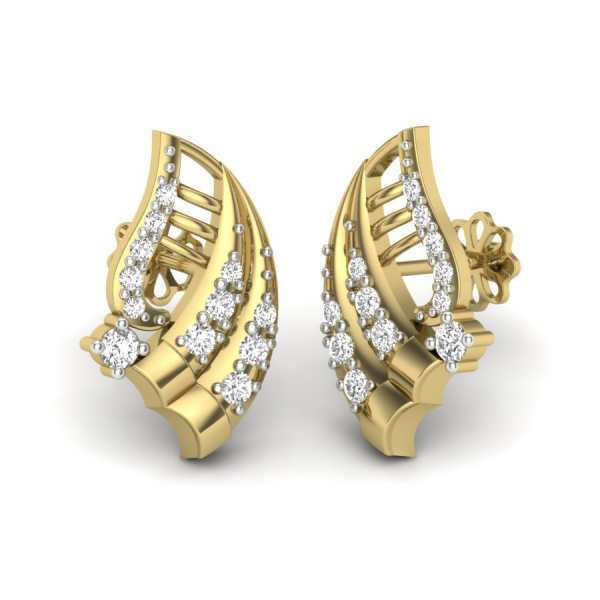 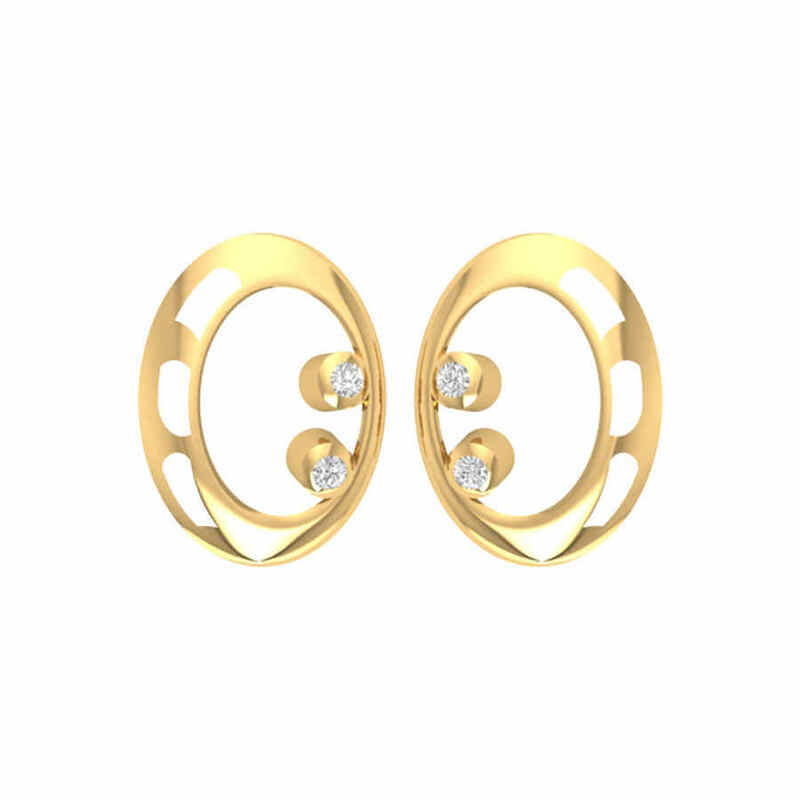 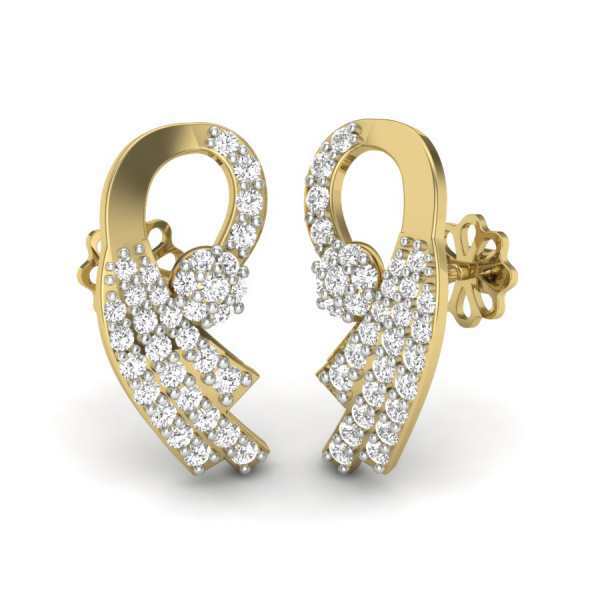 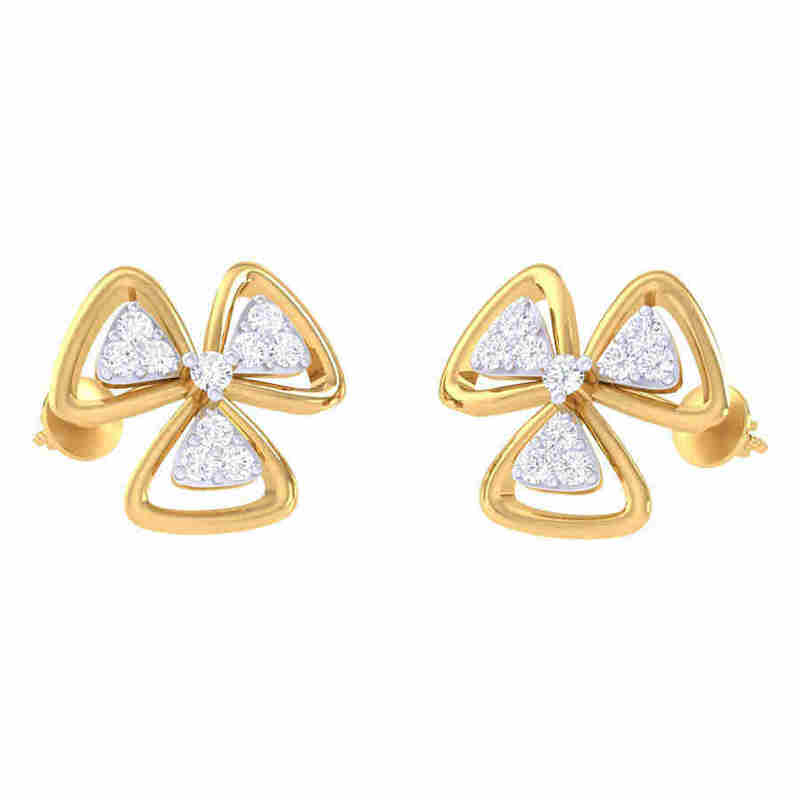 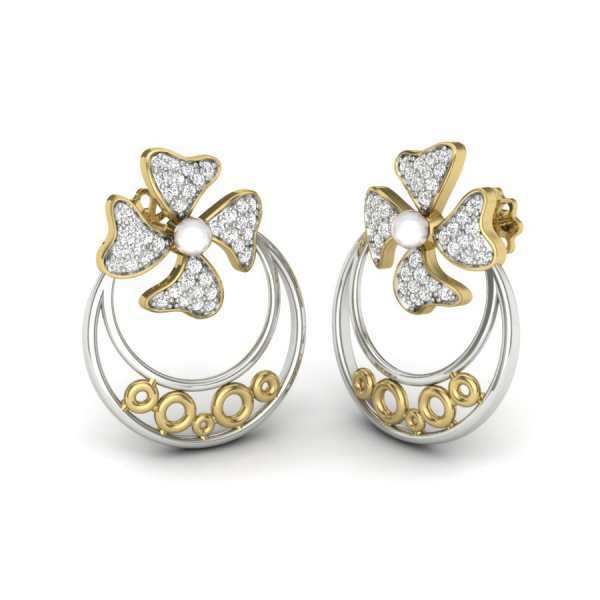 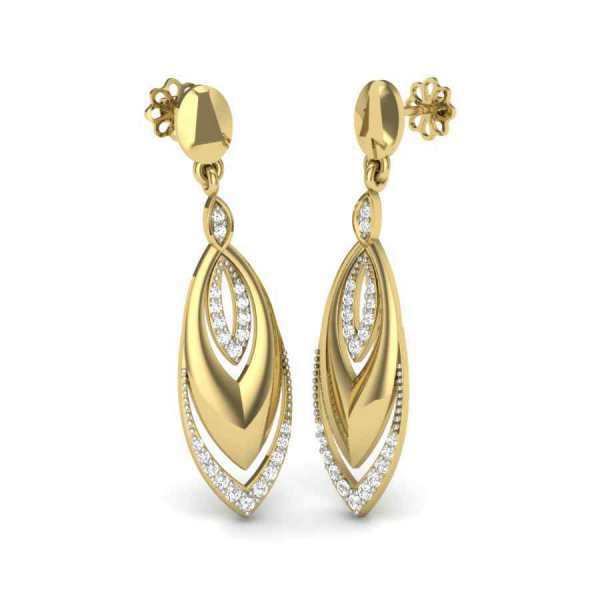 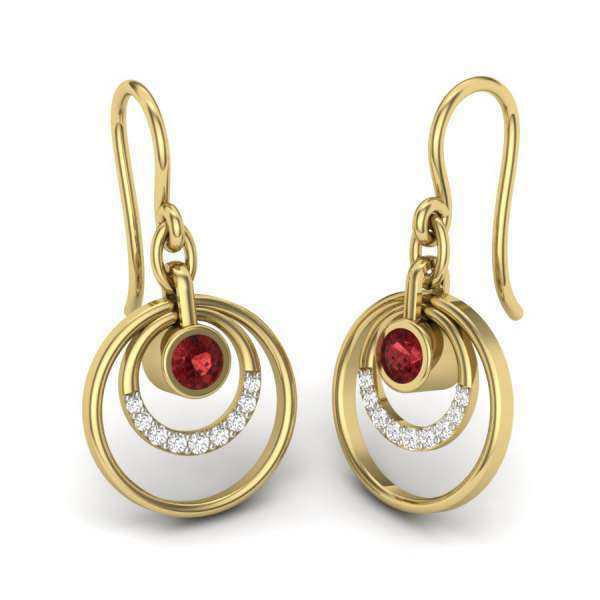 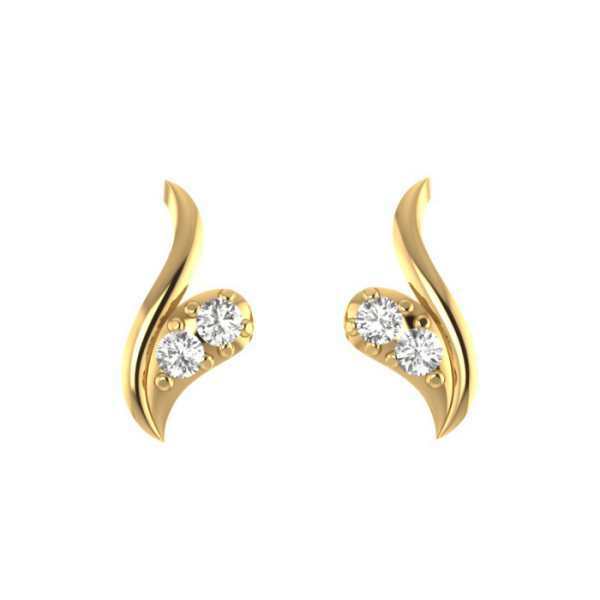 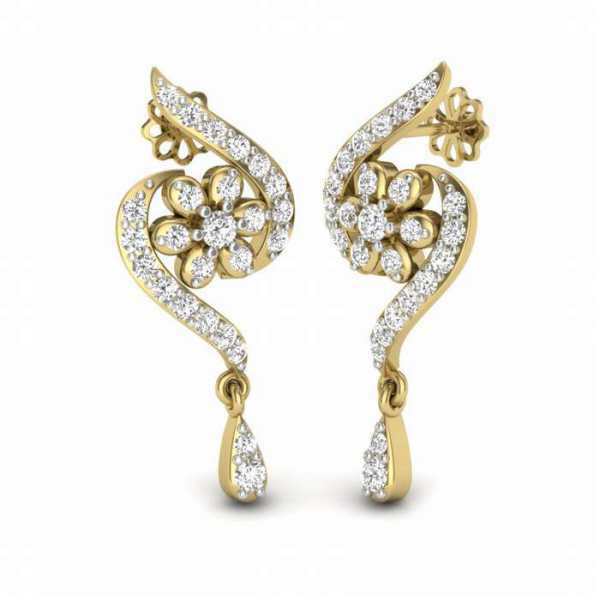 We have a myriad of diamond earrings designs to choose from - diamond studs earrings, diamond jhumki earrings, diamond drop earrings, and diamond hoops earrings. 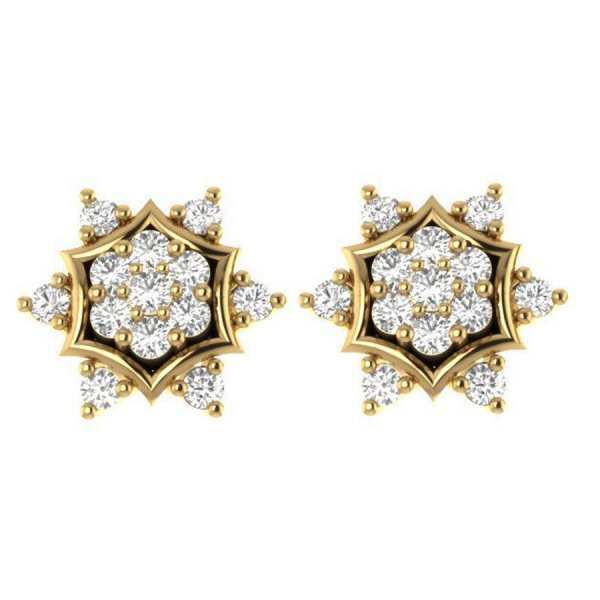 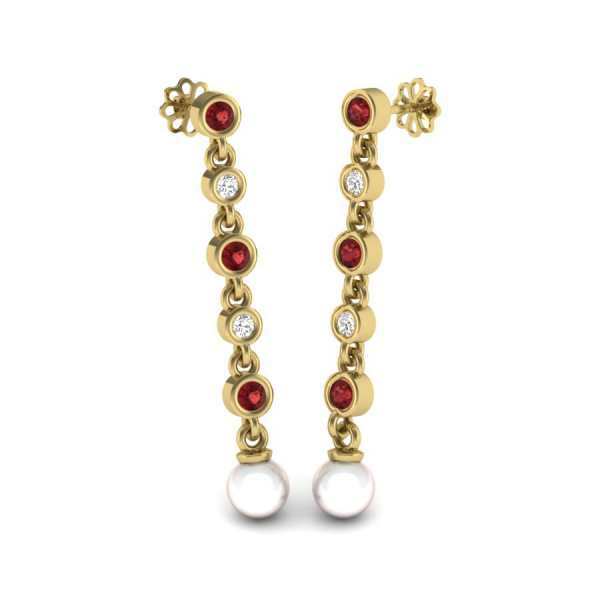 If you are looking for something traditional with vibrant pops of colors, then diamond navratna earrings are for you. 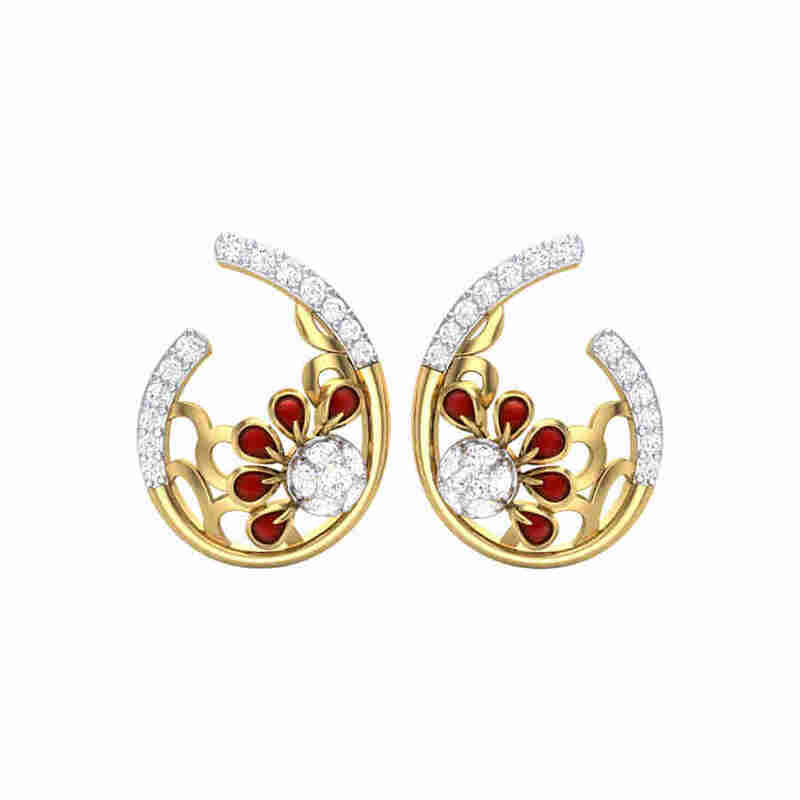 Multi-colored and elegant, diamond navratna earrings will blend beautifully with your wedding ensemble and add a touch of sophistication and glamour. 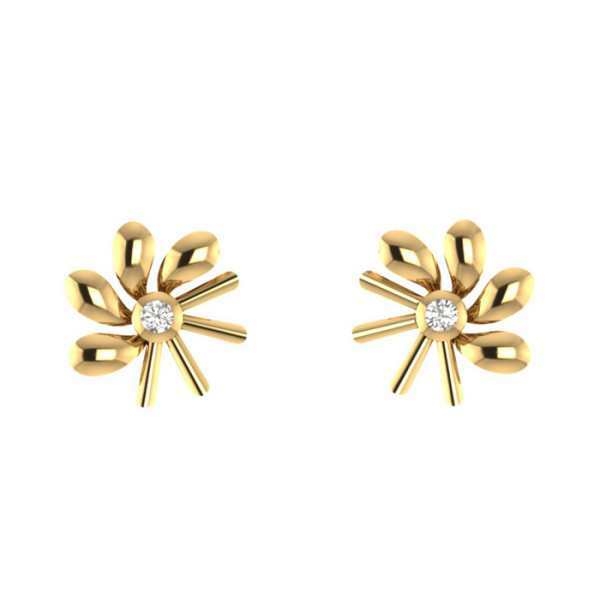 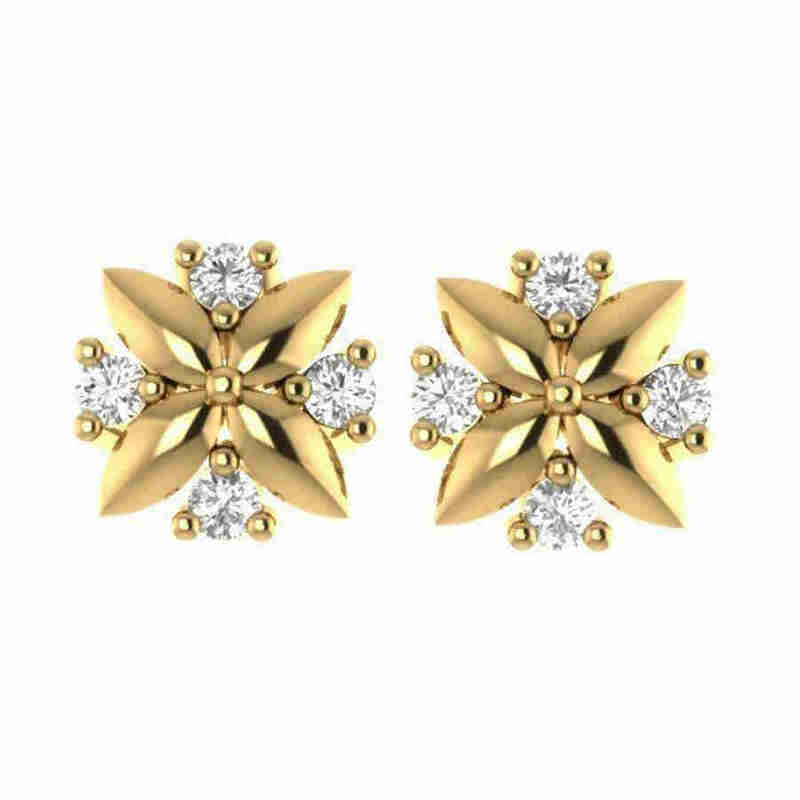 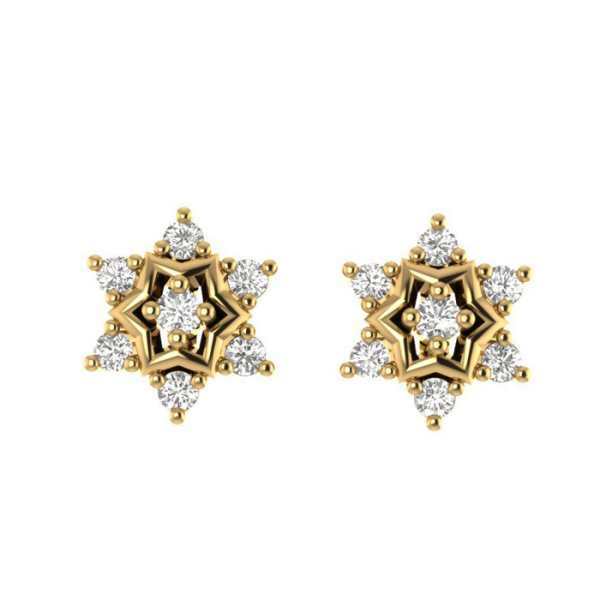 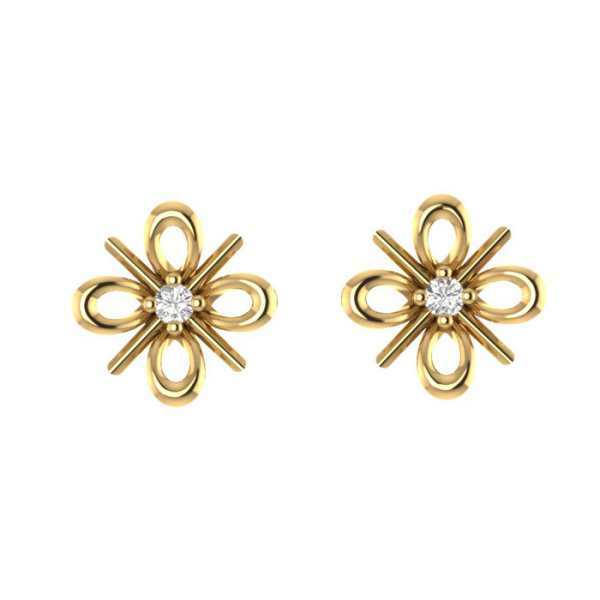 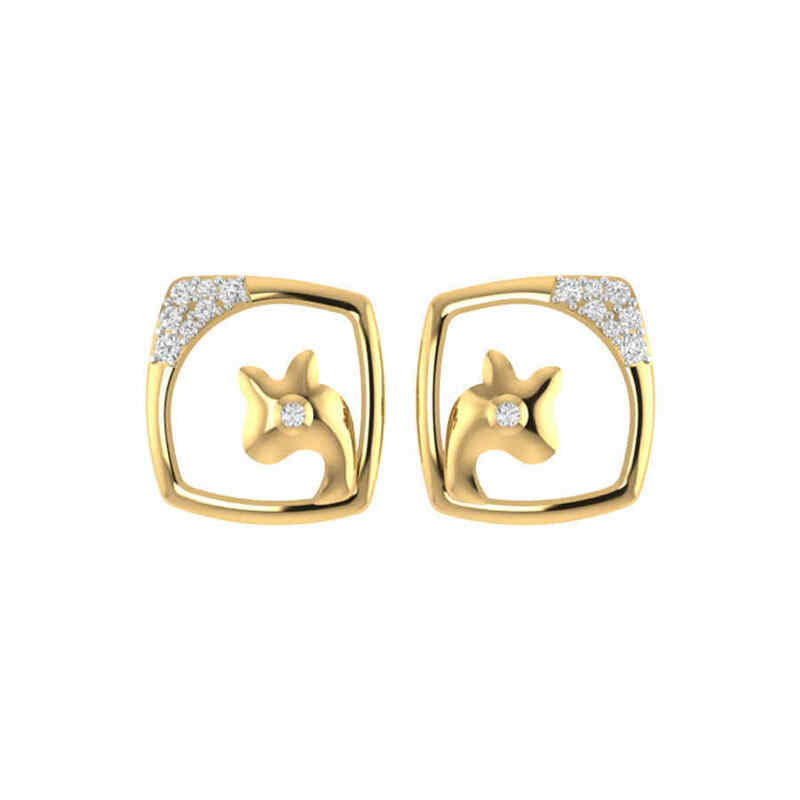 Likewise, diamond studs are a versatile option that which can go for all kinds of events and occasions; be it a date, a family gathering, a corporate conference, technically anything under the sun. 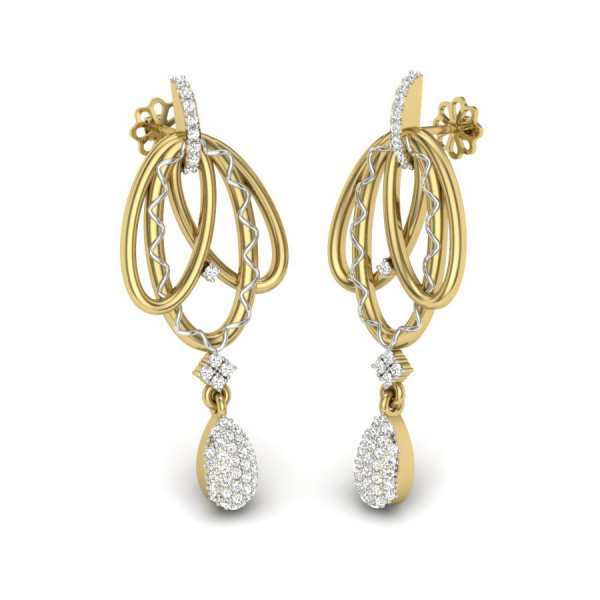 Dangling diamond earrings look classy and graceful, making them apt to be worn for special occasions to add that extra elan to your ensemble. 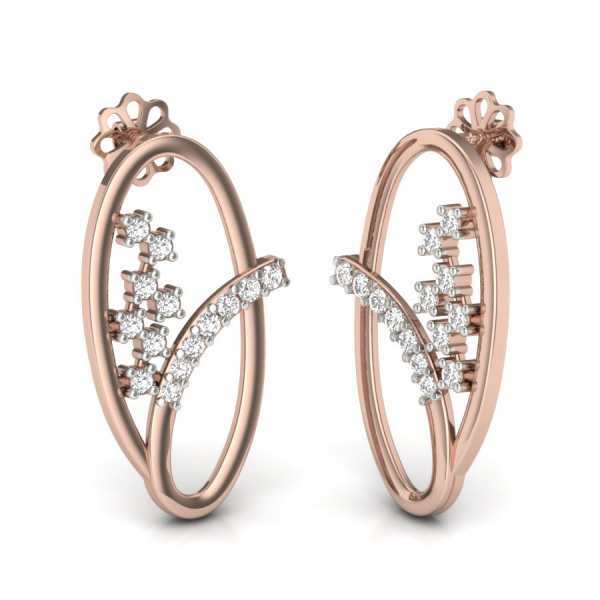 Diamond hoop earrings are an all-time favorite with ladies - they are probably one of those few styles that haven't lost their charm due to changing times but are in fact enjoying an increased interest and popularity owing to their elegant appeal. 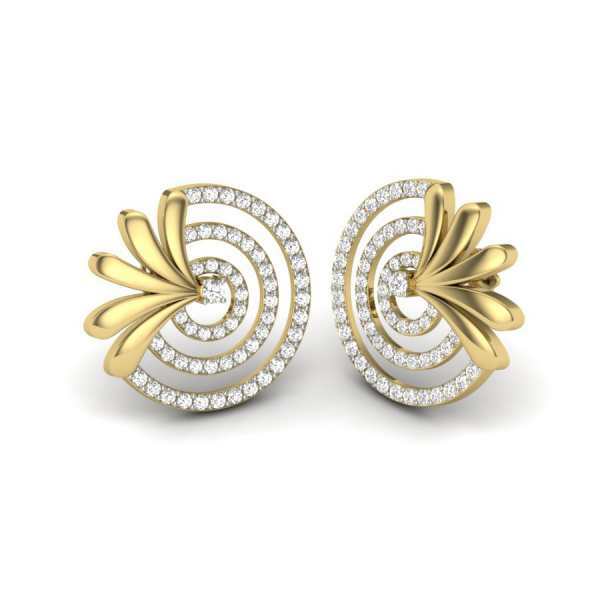 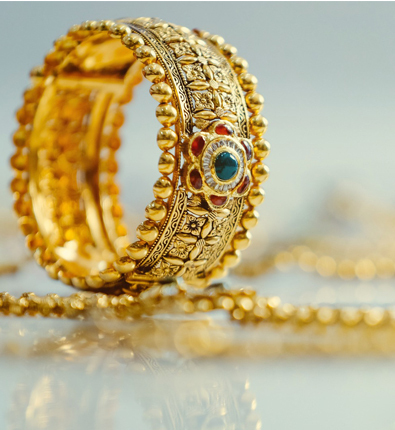 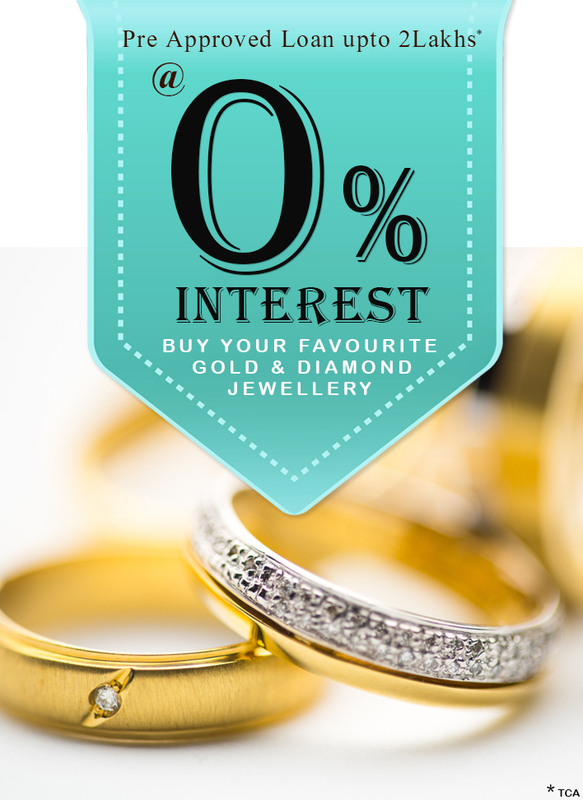 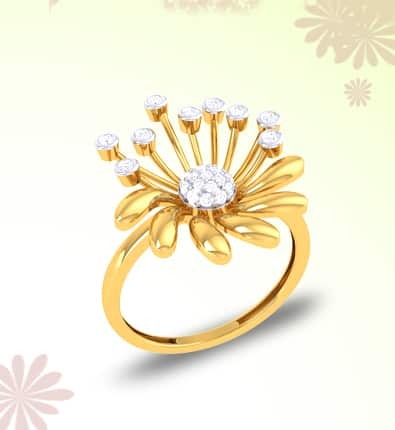 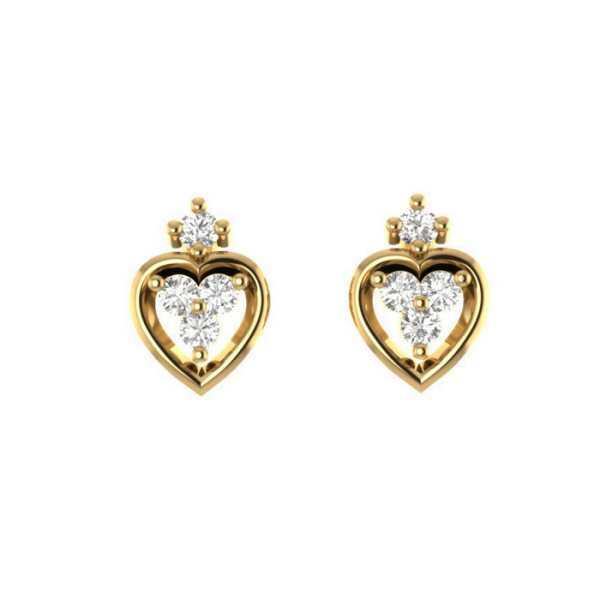 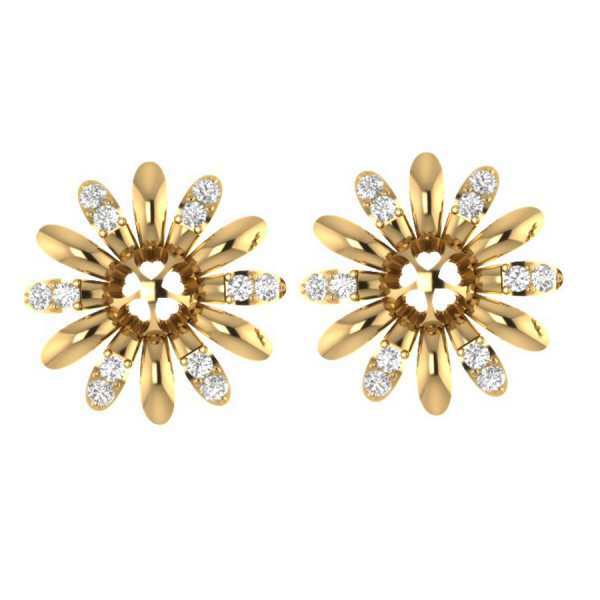 Whether fashioned out of yellow gold or white gold, these beauties will ensure that you cut a dazzling figure. 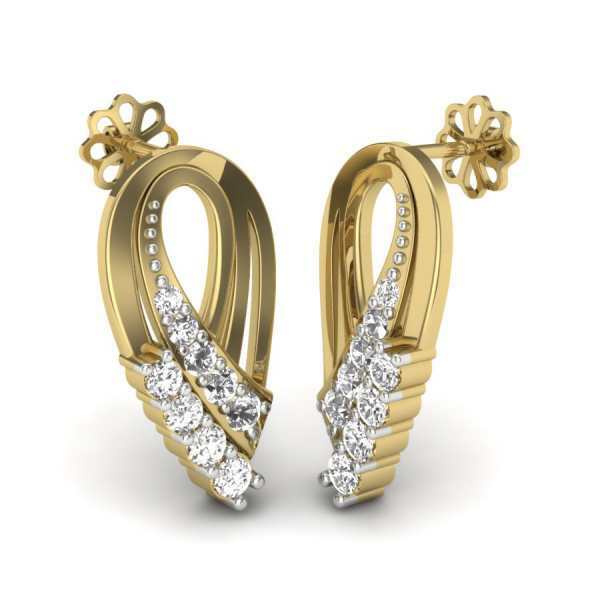 Whether you are buying diamond earrings online as a gift for someone special or buying it for yourself, it’s an exciting experience. 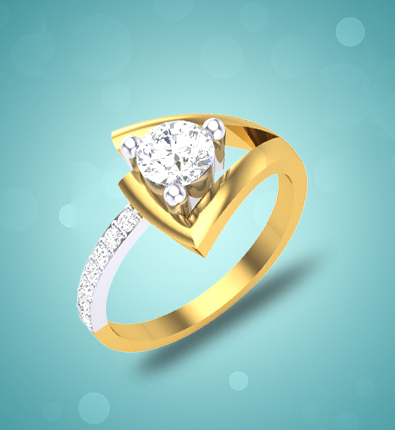 However, to make sure that your experience turns out pleasant and seamless, it is important to you know about the 4 C's of diamonds which is clarity, carat, cut, and color. 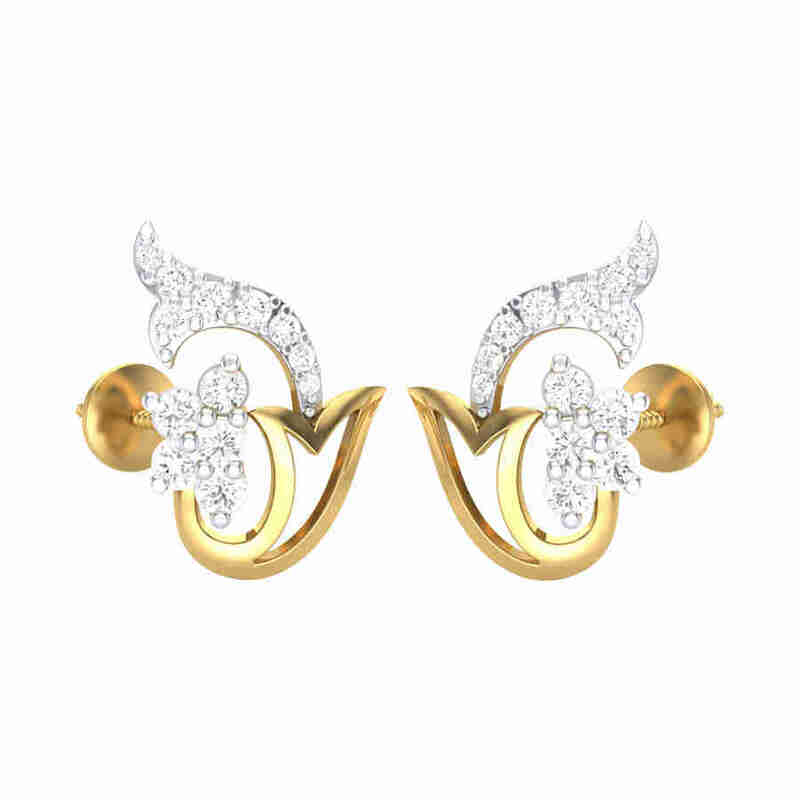 For an important purchase like that of a diamond earring, you need to be aware of all the nitty gritty associated with it.